1. Nail a string to the back tip o f home plate and proceed out 13 feet in a semi circle. (Repeat step 1 for outside circumference at 18 or 23 foot mark. 2. Start bender board forms at 3 feet from foul line and pour concrete 5 or 10 feet accordingly. POUR EXACTLY 5 OR 10 FEET TO PREVENT TRIMMING. 3. Concrete needs to be 4-5 inces deep with adequate structural support for climate changes. 4. LET CONCRETE CURE A MINIMUM OF TWO WEEKS. Moisture will ruin glue if concrete is not fully cured. 5. 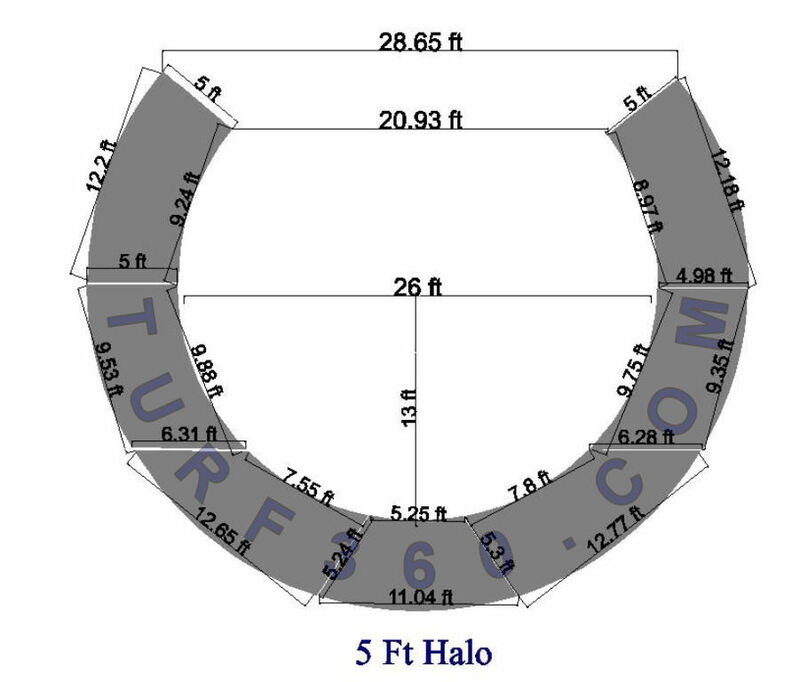 Match pieces to fit diagram and weigh down center piece in place. 6. 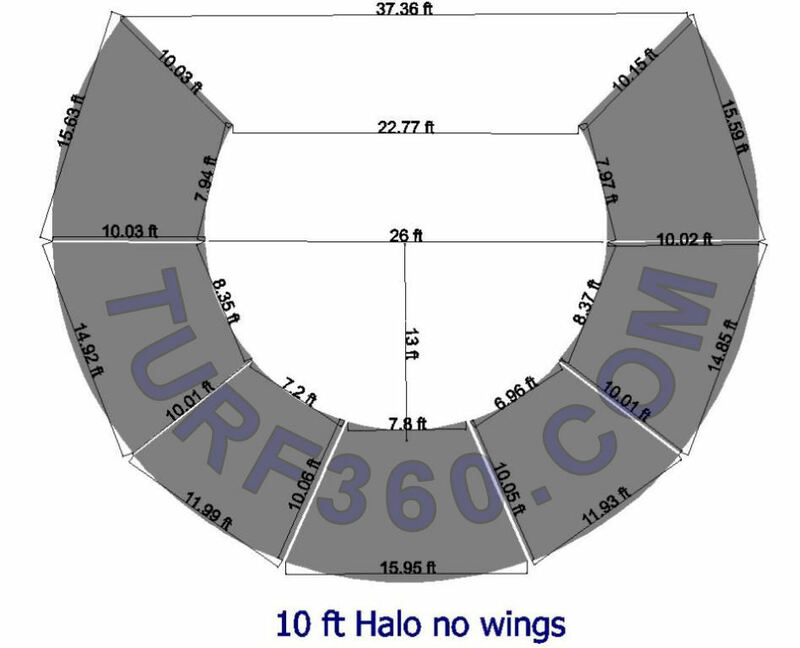 Use heavy weight to make sure turf lies perfectly still. Fold one half section up at a time for glue application. 7. Glue each one half section at a time, each time using 50 or 100 lb rollers afterward for proper adhesive bond. Repeat steps 6 and 7 for each section. 8. Make sure glue has 24 hours to dry by coveringw with plastic or field cover. 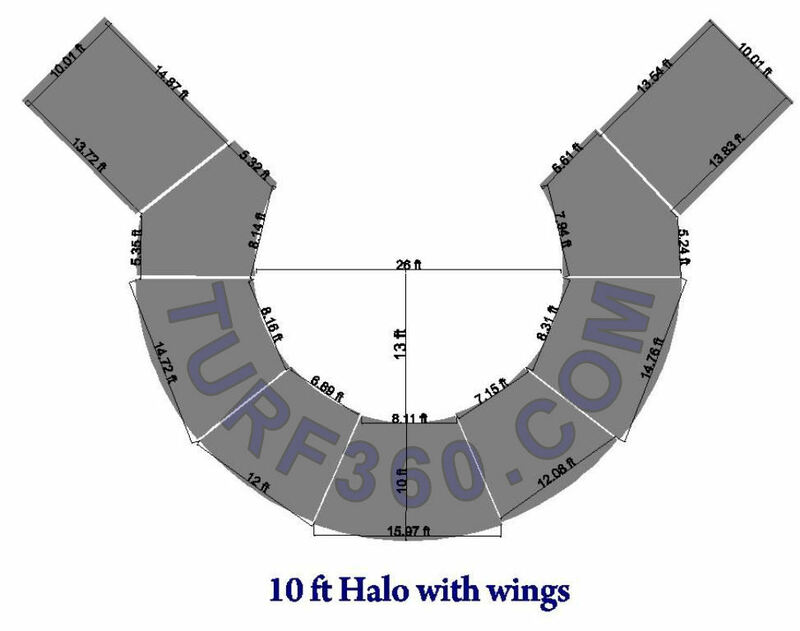 Note: Halo with wings can be modified to be 5 or 10 feet long. 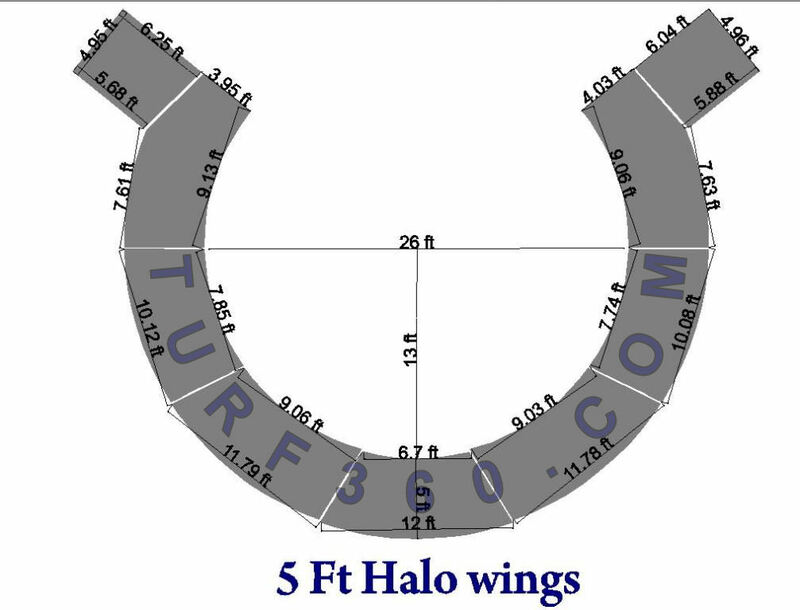 The wings run along the base line, not in the base line.